The Hospitality Broker is proud to be one of the leading providers of official hospitality for The Open at Royal Birkdale. 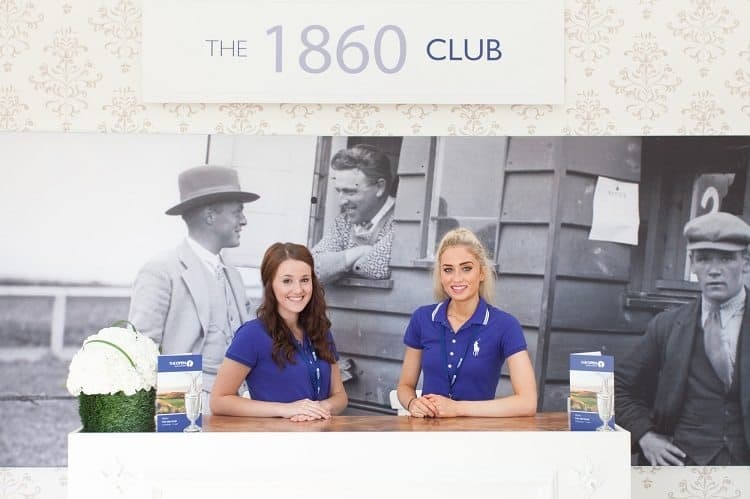 We can swing you off to the biggest golf event in the world with a range of options from the exclusivity of your own private viewing suite, to a high class premium experience in The Claret Jug Pavilion on Royal Birkdale’s 1st tee or the fun and festival atmosphere of The Champions Club. Your guests will experience hospitality that complements the world-class action out on course and exceeds their expectations of attending golf’s most prestigious championship. 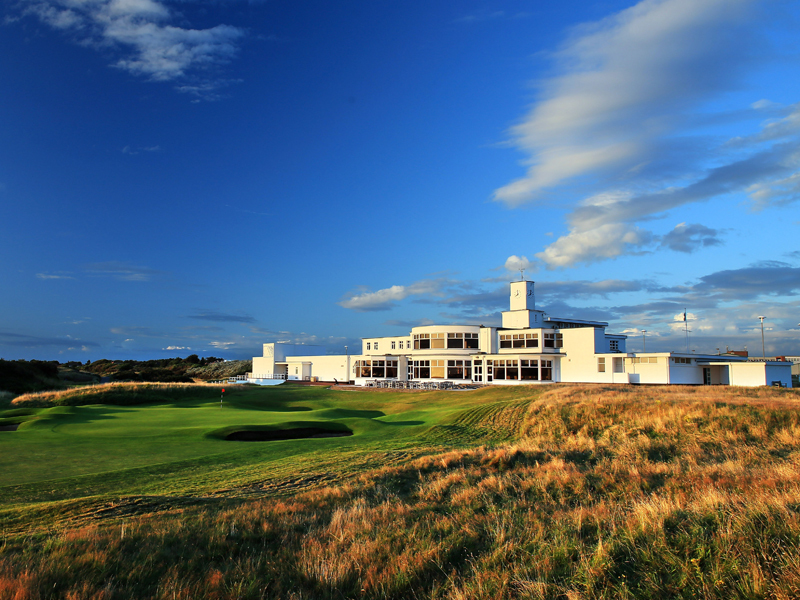 Royal Birkdale is easy to get to less than an hour from Liverpool train station and Liverpool John Lennon Airport and is set amongst stunning and historic coastal scenery. Luxury experiences you can discover…. Located overlooking Royal Birkdale’s 1st tee and a short walk from the 18th to see players complete their round. This is THE ultimate in golfing experiences and will be a sure fire hole in one with clients. 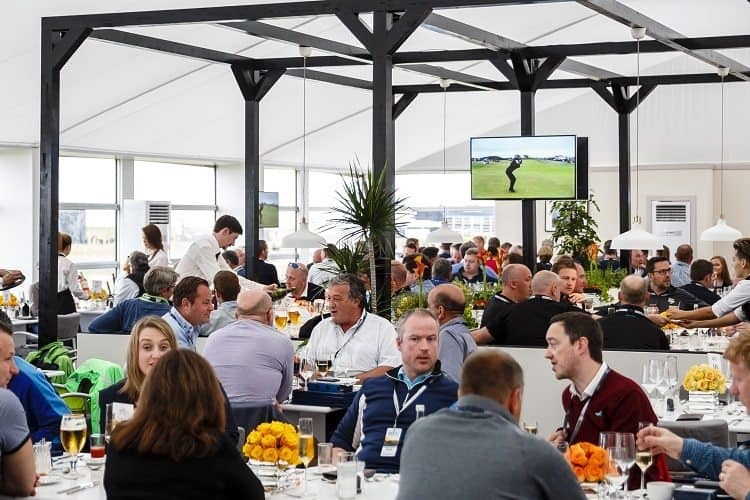 Overlooking Royal Birkdale’s 15th hole, this relaxing, air-conditioned restaurant is the perfect location to enjoy your day at The 146th Open. Be inspired by the heritage and tradition of The Open as you connect with your party at your own private table seating 10 or 12 guests. Situated at the iconic Hillside Golf Club next to Royal Birkdale. This exclusive extension of The Open Hospitality’s facilities will provide a welcoming and contemporary atmosphere in which to relax and entertain your guests. If you enjoy the hustle and bustle of your own club’s 19th hole you’ll love this one. Features a large private garden area and an outdoor LED screen. Enjoy socialising with your guests in a lively setting while keeping track of the play on-course and catching all the key moments. Private suite available for parties of 30+ guests. Contact events team for details.